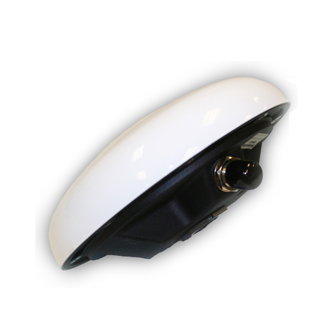 Trimble’s LV59 GNSS antenna is a versatile and highly accurate option for both marine and land-based applications. The design includes a durable threaded mount and aluminum base that allows the LV59 to be mounted onto stationary poles or moving vehicles. Trimble’s LV59 is a durable GNSS antenna that delivers centimetre level accuracy for both land and marine applications. Supporting current GNSS signals—including GPS L5, GLONASS, BeiDou and Galileo—and future signals, the LV59 will work with your current and likely future GNSS receivers. The antenna also resists undesirable signal interference which can contribute to inaccurate measurements. Looking to order the TrimbleLV59 GNSS antenna or have a question? Simply request a quote today and we’ll get back to you promptly.